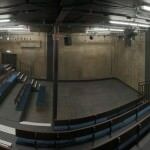 Use The Wardrobe Theatre for rehearsal space, talks, meetings, conferences, film screenings or anything else you require. 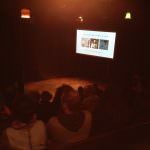 The theatre has been specifically designed to be a welcoming, intimate and flexible space with a lot of character. It has an L shaped seating back which can fit up to 100 people. The stage area is approx 4.5m x 4.5m. There are stage lights and a PA system if needed. There is also an adjacent bathroom with dressing room facilities. 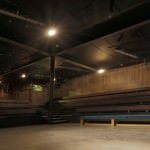 We are a non-profit organisation and all the money made from renting the space out goes directly into the theatre and benefiting the community of Bristol. We want to make it as accessible and affordable as possible so charges depend on the income of the user. We are a creative venture who encourage people to take risks in our space so are always open and excited to discuss ideas with people wanting to use the space in different ways.